The Tate Britain's current offering has suffered a lot of criticism for its misleading title. It is true that a lot of the work displayed is not Impressionist and perhaps they have wavered somewhat on the aim of the exhibition. That being said, as one with much still to learn, I thoroughly enjoyed it. It opens with a room explaining the devastation in Paris due to the Franco-Prussian war with some heart-rending paintings by Doré (whose Soeur de la Charité is captivating) and a handful of photographs to show some of the war damage. Its aim is to explain how many of the artists featured came to be in London in the first place, and the stark contrast of circumstances in the two capital cities at the time, a recurrent comparison. It's true that many of the paintings included were created later, on holiday or business trips, but it is nonetheless useful to be reminded of the historical context that must surely have left a lasting impression. James Tissot has a room to himself showcasing his society paintings followed by Alphonse Legros and Jean-Baptiste Carpeaux, whose works are not breathtaking, the sculpture shining brighter than the paintings. Pissarro and Sisley's sunny, peaceful depictions of the suburbs are a far cry from the fog-laden paintings that are still to come. They ignore the bustle of the inner city and focus instead on the idyllic rural outer reaches. This is the point at which the Impressionists begin to take centre stage. The two penultimate rooms are atmospheric and have some utterly entrancing paintings. Monet's Leicester Square can be appreciated at length, drawing out the many layers. 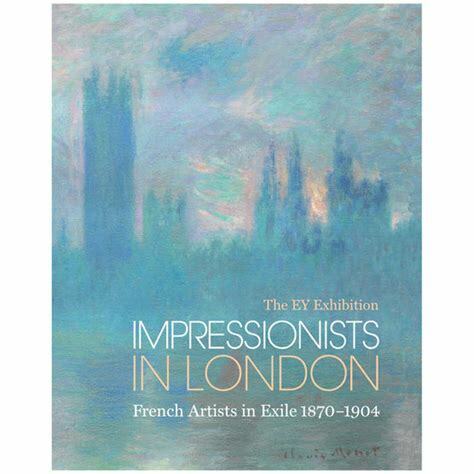 de Nittis and Whistler (whose inclusion is welcome but again not strictly within the remit as he is not a French emigré artist) help focus attention on the Thames with their interesting renderings focused on light and fog. Finally, visitors are treated to a group of Monet's famous Palace of Westminster paintings. It's wonderful to see them together and to be able to reflect on the subtle differences. An interesting exhibition that strays far from its supposed intent but brings out works by lesser known artists to be enjoyed alongside the masters. I certainly left feeling that I'd learned something and experienced some truly magnificent art. 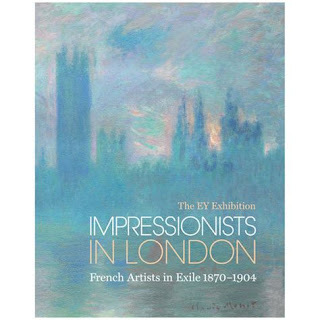 If you are an Impressionist enthusiast you may leave disappointed but for the general art lover it is worth a visit.